Margaritas and Mexican cuisine meet serious south-of-the-border style at this boisterous, popular mega-eatery. 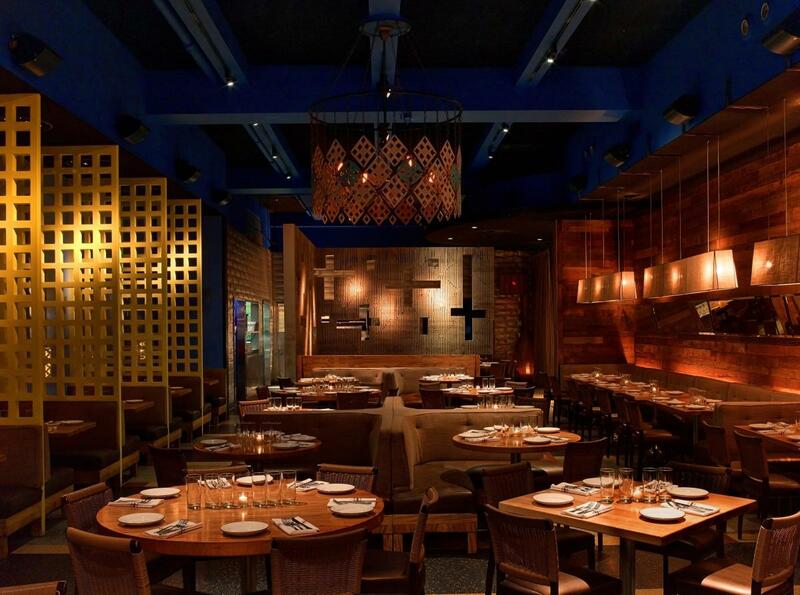 With more than 100 types of tequila, Dos Caminos easily attracts the after-work crowd for creative libations like the chile-infused Cosmos del Diablo and addictive appetizers such as fresh guacamole prepared table-side and plantain-stuffed empanadas. But its inventive renditions of traditional Latin cooking, including Black Angus skirt steak and coconut-strawberry tres leches cake, should lure folks to linger past cocktail hour.